WebsiteBuilder.com is an online platform that allows users to create websites and online stores. Its features include site analytics, web hosting, a drag-and-drop builder, and a template library among others. In this article, we cover WebsiteBuilder.com reviews and pricing. Ready to get started? Sign up for a free account. The WebsiteBuilder.com pricing scheme is based on four options: Free ($0), Premium ($11.98/month), Business ($13.83/month), and eCommerce ($24.60/month). Discounted rates are offered to users subscribed to 12-24 month plans. The main difference between the plans is access to premium features, such as ad removal, site statistics, and more. *Users registered annually are required to pay in a lump sum at the beginning of the billing cycle. From time to time, the company offers discounted pricing for new users. Check its website to see if there’s one offered today. Ready to get started with WebsiteBuilder.com? Sign up for a free account. 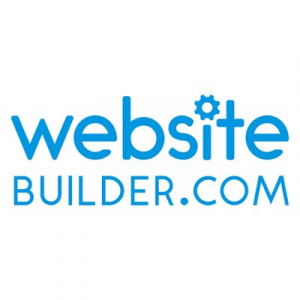 As of the date this article was written (April 10, 2019), there are very few recent WebsiteBuilder.com reviews online. If you are a past or current WebsiteBuilder.com customer, leave a review to help others who are deciding whether or not to use the software. 6 Best Website Builders 2019: Reviews & Pricing Guide: A website builder makes it easy to design and host a website to sell products, connect with your customers, and analyze web traffic — no coding knowledge required. In this guide, we compared the best website builder options for small businesses in terms of ease of use, pricing, and purpose to help you decide which one fits your business’ needs. What customer support channels does WebsiteBuilder.com offer? WebsiteBuilder.com provides customer support through calls, emails, and live chat for all its users. However, priority support is given to Business and eCommerce account holders. What payment options does WebsiteBuilder.com accept? WebsiteBuilder.com accepts payments made through PayPal and credit cards, such as Mastercard, American Express, and Visa. Have you read these WebsiteBuilder.com reviews and are still not sure if it’s the right fit for you? Read our reviews of all top website builders. This company has software that makes putting together a small/simple website easy and a no-brainer for even a non-technical/creative person. You cannot create large or complex websites, and the editing capabilities are somewhat limited (uses templates only). That it was as limited as it is…not the correct service for large or complex websites, so I have not used it as much as I could have.